As a local business ourselves, we understand how important it is to hire out professional services that support your company. You’ve got important work to do; you don’t have time to clean up overflowing garbage bins, abandoned lockers, or the mess left behind by your last residential tenants. Let us take care of this for you! We are pleased to offer same day services and special rates for our valued commercial clients throughout the Greater Victoria area and the Gulf Islands. We offer one-time services, as well as regularly scheduled pick ups for ongoing clients. Our knowledge of every aspect of the junk removal industry enables us to provide fast, friendly services to companies of any size. Hotels and strata properties can generate a lot of garbage. And residents of multi-family complexes don’t always follow the rules for composting, recycling and rubbish disposal. From illegal dumping to spills and overflowing compost bins, messy garbage enclosures can be a real headache! When you call Island Junk Solutions, we take care of the problem quickly. We also offer pressure washing to keep those garbage enclosures free of odours and unwanted critters. For Real Estate Agents, we can help with foreclosure cleanouts, estate sales, and general garbage pick up services on property closures and new listings. Is your project time sensitive? Let us know! We take pride in our fast response times and will leave the residence clean and ready for listing. Island Junk Solutions is proud to handle the junk hauling and garbage disposal needs for the City of Saanich, including the Parks and City Police departments. Our professionalism and outstanding customer service make us the ideal choice for government agencies at the municipal, provincial and federal level. Moving office? Upgrading to new furniture and office equipment? Give us a call. We can help with everything from furniture hauling to electronics recycling so that you can get back to business as quickly as possible. To remain safe and efficient, construction work sites must remain clean and clutter free. We assist builders, contractors and renovations companies with complete construction waste removal projects. 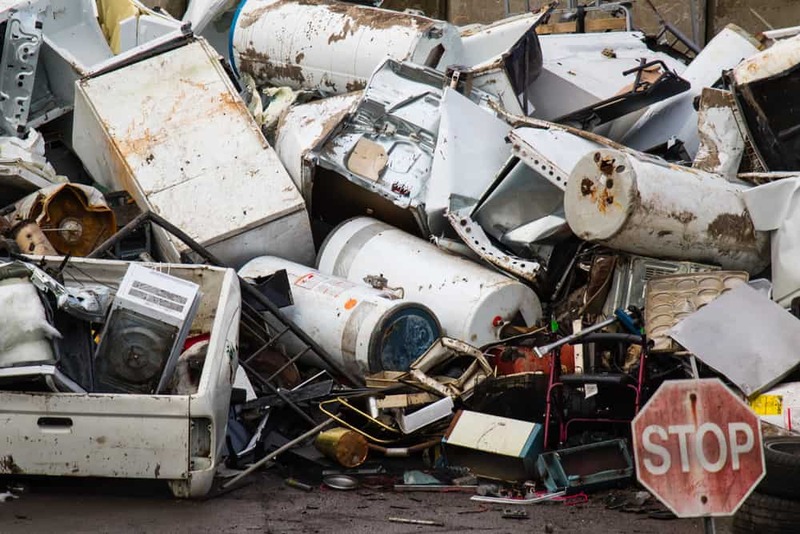 Our demolition and construction site clean-up services include paint recycling, drywall disposal, garden waste removal, hazardous waste disposal. For gardening and landscaping projects, we can take sand, gravel and other aggregates; along with organics like branches, shrubs and compostable materials. For controlled substances and hazardous wastes, you can rely on our expertise to ensure these materials are disposed of properly and safely.